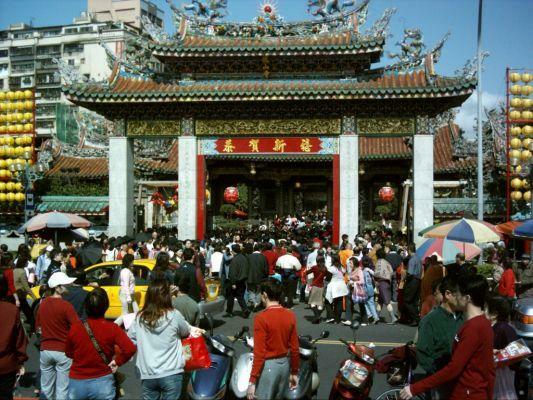 Here's an excerpt from Jim's latest e-mail -- I've also included a photo of the Longshan Temple from the Web. along with the Nationalists). Really splendid. Middle East, except with beer and without prayer. market featuring really bad entertainment was underway.